Enhance Your Lashes and Brows! Eyelash and Brow Dye Kit Introducing Europe's Best Selling Lash and Brow Dye. This kit is imported from Switzerland, totally safe to use, does NOT contain hydrogen peroxide bleaching agents or coal tar derivatives. Very economical up to 10 applications, each application lasts 4-6 weeks, so the kit will last for a whole year, much cheaper then going to salon for $30 per visit. 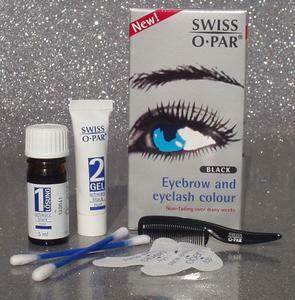 Swiss-O-Par is great for women or men, people with sensitivity to make-up, swimmers, contact lens wearers, etc. It can also be used on mustaches, beards, and even private areas of the body. Free bonus exclusively for my customers: With every kit, you will receive a Supreme Application Brush, which makes application easier and more precise. Additionally, we'll send you useful application tips not shown in the instructions, and step by step videos. 3 Day Delivery within USA! Most of the time we ship the same day if payment is received by noon. Just apply the solution wait 1 minute, apply gel with a comb (provided), and rinse off. That's it! No more mixing, spilling, waiting, much safer (no Hydrogen Peroxide used in almost all other dyes). Best of all there is no smell or burning sensation. The bleaching agents are: 1,2,4 trihydroxybenzene citric acid sodium sulfite disodium PEG-5 laurylcitrate sulfosuccinate SLS The dye element contains: silver nitrate ammonium hydroxide acrylates/C10-30 Alkyl Acrylate Crosspolymer Before buying any product, check the label. 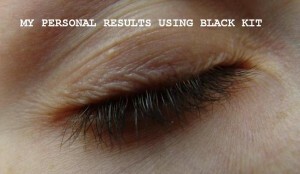 FDA banned eyelash dye products due to injuries that occurred using dyes that contain Hydrogen Peroxide or Coal Tar. Swiss-O-Par does NOT contain these ingredients. It is different in application process as well. For other dyes, you need to mix liquid with paste in the little container, and then apply to your eyelashes and then wait around 10-20 minutes. With Swiss-O-Par you apply the gel directly to the eyelashes and after 1 minute you rinse it off, so not only is it safer to use, it's more comfortable and quicker. The manufacturers and their distributors accept no liability for orders within US. Insurance is not required but optional, we're not responsible for kits lost in the mail. CLICK the button below to access "Additional Tips For Use, Not Provided In The Instructions"
This site belongs to: Wellness Warriors Click for Email Address Contact The Person Who Shared This With You!